A Nineteenth-Century Austrian dramatist and poet, he is known for plays such as Der traum, ein Leben (The Dream, a Life) and Spartacus. He also published two novellas: Das Kloster bei Sendomir and Der arme Spielmann. He studied law at the University of Vienna and went on to work as a tutor, civil servant, and scribe. A popular Austrian pastry, the Grillparzertorte, was named in his honor. 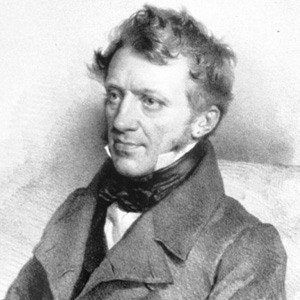 He was the Vienna-born son of Franz and Anna Franziska Grillparzer. He never married. He wrote the oratory address for the funeral of composer Ludwig Van Beethoven.